Before you know it, summer will soon be ending for many in the northern climates. Most of us are enjoying the fruits of our labors as corn, tomatoes and cucumbers have ripened. In this issue, we offer tips and trivia on cukes and tomatoes and greenhouse tasks for August. The best way to eat any fruit or vegetable is freshly picked of course! Ancient Egyptians used cucumbers (which are 96% water) to stay alive in the desert while they were building pyramids. Because of the vitamin content of the tomato, Italians believed it imparted a lusty vigor and called it a "love apple." "In all of vegetabledom, there is nothing to equal the tomato." - Craig Claiborne, New York Times Food Columnist and noted cookbook author. Although the Spanish brought tomatoes to Europe from South America, they used them as decoration, fearing they were poisonous. It wasn't until the 16th century before tomatoes were eaten in Europe and it was the Florentines in Italy who led the way. Ontario is a world leader in growing greenhouse produce. Ontario growers ship produce all over Eastern Canada and the United States. Did you know that the robust and flavorful tomato was once called the 'apple of Paradise" by the Germans and "pomme d'amour" (apple of love) by the French? Did you know that the tomato is native to South America, where the Incas and Aztecs cultivated them as early as 700 A.D.? From there it traveled to Central America via migrating Indians and eventually made its way to Europe. 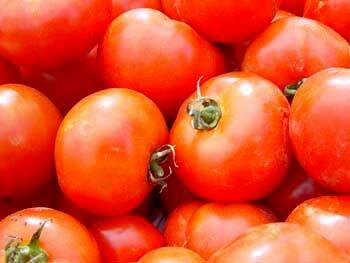 The tomato quickly became a staple in the diets of the Spanish, Portuguese and Italian people. Colonists brought the tomato to North America in the 19th century. Did you know that the tomato is actually a fruit? Botanically, tomatoes are a fruit, because a fruit is defined as the edible part of the plant that contains seeds, while a vegetable is the edible stems, leaves and roots of the plant. Tomatoes should not be refrigerated. Cold temperatures make the flesh pulpy and kills the flavor. Tomatoes should be stored stem side up, kept at room temperature and used within a few days. Did you know that tomatoes come in a variety of colors such as reds, oranges and yellows, as well as pink, white and even red and yellow striped? Myth: The tomato is poisonous. Fact: While the tomato is part of the nightshade family (a genus of wild plants with toxic berries) it is in fact perfectly healthy. 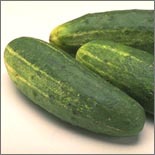 The cucumber is a gourd of the same family as pumpkin, zucchini, and other squashes. When selecting a cucumber choose one that is firm and spot-free. The cucumber is believed to be native to India and evidence indicates that it has been cultivated in western Asia for 3,000 years. From India the cucumber made its way to Greece and then Italy and eventually China. In 1535, Jacques Cartier found cucumbers in what is now Montreal. In the United States in the 1930s, a "cucumber" was slang for a dollar. As melons, fruits and vegetables begin to ripen, ensure the greenhouse is well ventilated to prevent rotting. Now is the time to order and plant bulbs for Christmas displays. Cuttings should be started for the winter greenhouse growing season, tomatoes, fuchsias. 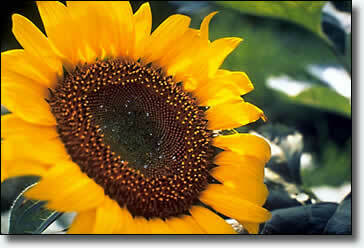 Begin collecting seeds from annuals. Remove the lower leaves from tomatoes to allow the fruits more light to ripen. Take a walk around the garden. Jot down plants to fill in for next year or think about adding or expanding your existing garden. Thin out overgrown perennials. Think about your winter greenhouse plans and try growing something new. 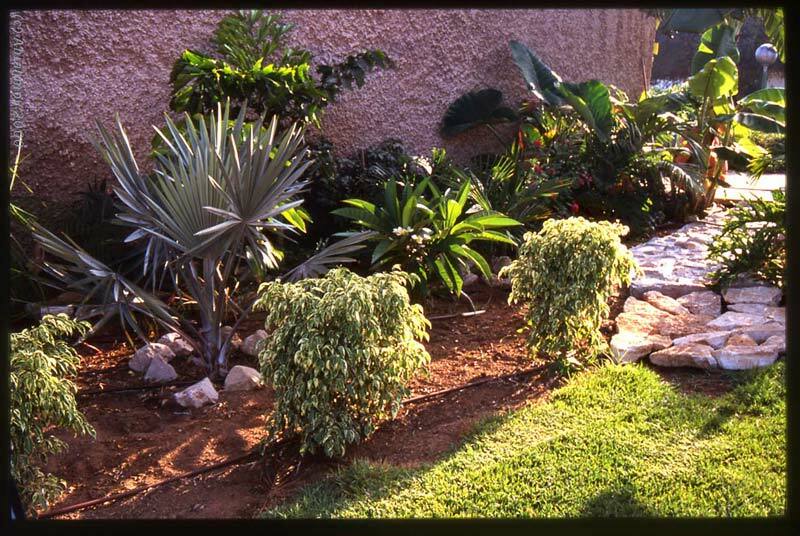 Experiment with cuttings and start new plants over the winter. Don't forget about houseplants too. Many of these can be started from cuttings and used outdoors during summer months. There's nothing like a fresh picked greenhouse tomato on a cold, snowy day in January!